People choose nondairy ice cream more often than ever now, for a variety of reasons. Some have decided to give up animal products and want to see what the vegan ice cream world holds for them, others have discovered a dairy allergy, many want a more healthful alternative to cow's milk ice cream, and some are just curious. The more the merrier, and whatever brings them to our section of the freezer aisle works for me! In the 1990s, dairy-free ice cream was almost always made with soy milk and it typically had a grainy texture and a mouth feel that was nothing like "real" ice cream. 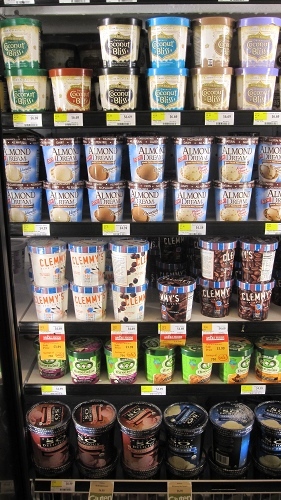 Now, you can find nondairy ice cream made with almond milk, coconut milk, rice milk, and greatly improved soy milks, all in normal grocery stores. Find a specialty store and you'll find even more types, including cashew and hemp milk varieties and dozens of sorbets. To give you some guidance on the best brands, I put together this list of some of the most common types of nondairy ice creams available in most stores. And please, if you have other favorites, comment below to help people find more options. 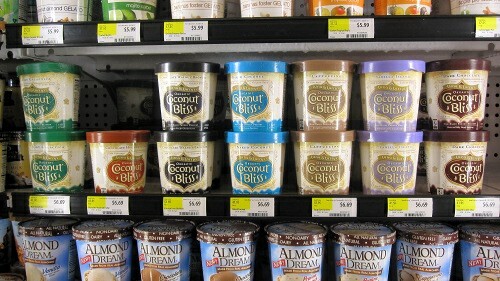 I have to start with the best... Larry and Luna's Coconut Bliss is absolutely one of my favorite nondairy ice creams that we can buy in stores. 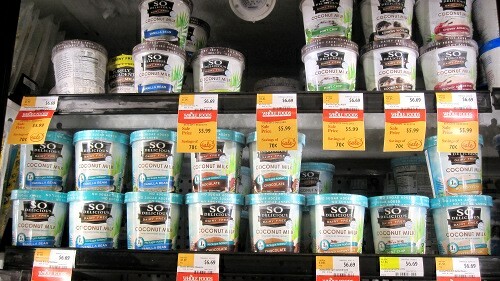 It's made with coconut milk and has a phenomenally creamy texture and a nice array of flavors. Their dairy-free ice cream is also free of soy and gluten, which is amazing for people with allergies and food preferences. As the first big brand I recommend to people who want to try vegan ice cream for the first time, I have to honor it first on our list. When I pick ice cream, I tend towards the fruity flavors, and theirs are good. But, because the coconut milk gives it such a creamy texture, you really have to go with a good creamy or chocolatey version when you try their brand. They also have two bars; naked coconut and dark chocolate. The dark chocolate bar reminds me of fudgesicles from my childhood. Turtle Mountain is a mammoth, behemoth maker of vegan nondairy ice creams. Over the years they've evolved their flavors and textures and have honed in on customer favorites. 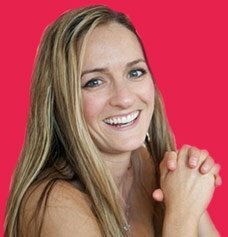 You can typically find the same flavors in either the coconut, soy, or almond milk bases, which helps people with allergies and food preferences. 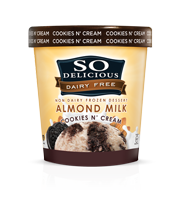 They changed their brand name from Soy Delicious to So Delicious in the early 2000s and they consistently get rave reviews and ratings from people who are new to vegan ice cream. While you might have favorites amongst some of the smaller boutique ice cream makers, it's really cool that most stores will carry at least one of Turtle Mountain's brands. Oh and p.s. you can usually score a coupon or two by jumping over to their website and/or liking their facebook page. The favorite flavor seems to be chocolate peanut butter. We love how smooth and creamy the mix is, and how the peanut butter tastes like freshly ground peanuts. I've had a good number of these flavors, and all have had the amazingly soft and creamy texture of coconut milk ice cream. Some I find to be slightly too sweet (although I admittedly don't have a huge sweet tooth). Ice cream preferences are so subjective that I don't think it's fair to say one is better than the other. Try for yourself! The other nondairy ice cream brand also made by Turtle Mountain is Purely Decadent. These soy milk based ice creams are typically higher in fat, hence the decadence. We all know how that goes though, and this brand lives up to the expectation. It's delicious! Taste the Dream also makes their vegan ice creams with either rice milk, soy milk, or coconut milk. They are all made without refined sweeteners, lactose, trans fats, and they are obviously dairy-free. 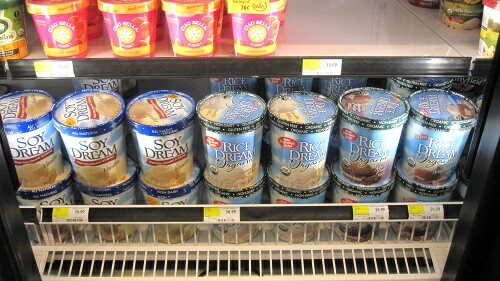 People tend to say that Taste the Dream's nondairy ice creams are more likely to give them gas, and have a slightly "off" texture, although they have worked hard to improve the texture in recent years. 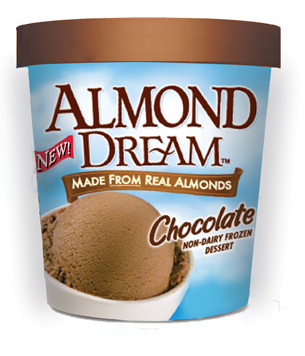 Although I appreciate Taste the Dream making the Almond Dream line of nondairy ice cream, the ones I've tried have been so cloyingly sweet as to be inedible for me. My husband ate them and enjoyed the flavor, but I couldn't finish my serving. 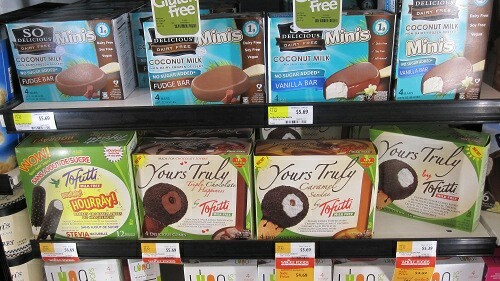 Tofutti is also a big-name nondairy ice cream maker. In the past, not all their products were fully vegan though, so make sure to read the ingredients. Evidently they focus more on making products for lactose-intolerant people than for vegans. Tofutti was one of the first brands on the vegan ice cream market and I honestly think they developed a bit of a bad reputation back then. I know they were one of the first ones I tried and I was really disappointed, so I haven't come back. That's probably not fair as they've made strides in the texture department. 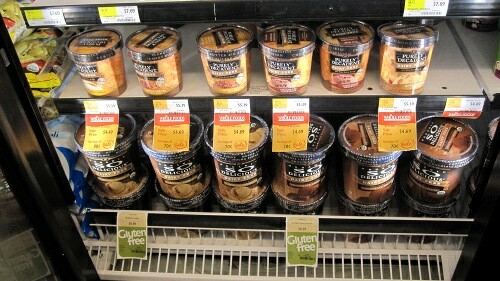 Temptation, made by Chicago Soy Dairy, is another tasty option for nondairy ice cream. Many of their flavors have nice chunky bits of goodness. Fyi, this is the same ice cream you can get in the well-loved shakes at The Chicago Diner. What's really neat is that they actually sell vegan ice cream mixes in case you can't find Temptation at your grocery store. It comes in vanilla and chocolate (so you can make swirls!). It's also fat-free, organic, all natural, and of course--- dairy-free. It's easy to make too. All you do is dissolve the mix in water and then dump it into a soft serve machine. There's also mix to make the ice cream from home. This is so great for those of us who can't find Temptation at a store and would love to experiment a little with flavors and mix-ins. Good Karma makes a delicious nondairy ice cream called Organic Rice Divine. 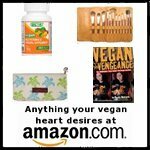 It is dairy-free, vegan, organic, and gluten-free. They also have some dairy-free ice cream bars in very vanilla and chocolate chocolate. 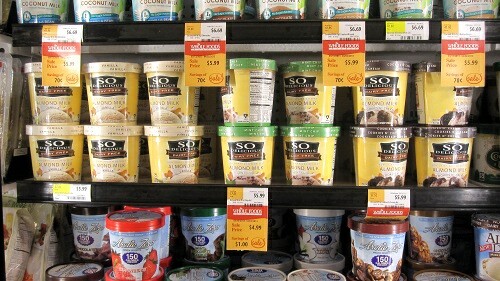 Double Rainbow Soy Cream nondairy ice cream can be found at the grocery store, as well as at ice cream parlors that serve Double Rainbow ice cream. Yes, this company does make both dairy ice cream and nondairy ice cream. Hopefully the flavor makes up for that lapse in judgment! If you know of a great nondairy ice cream that I haven't mentioned, let us know about it. We would love to hear your comments on what you like about it, its texture, flavors, taste, etc.